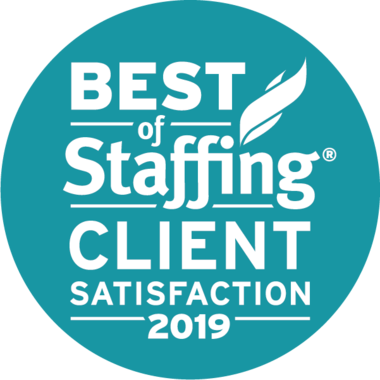 Integrity Staffing Solutions – Happy National Staffing Employee Week! Home>Blog>Happy National Staffing Employee Week! Did you know there's an entire week dedicated to the celebrating contributions of temporary and contract employees? There is, and it's now: September 19th – 25th. Across the country, the American Staffing Association (ASA) and staffing companies like ours will be holding events and festivities especially for this important sector of the American workforce. The ASA is announcing its 2017 National Staffing Employee of the Year award on September 19th. This year for the first time it will also recognize finalists in each employment sector: engineering, information technology and scientific; health care; industrial; office/clerical and administrative; and professional/managerial. We've nominated one of our own Integrity Staffing associates, who we believe is incredibly deserving of the honor. Let's see what happens! Integrity Staffing will announce our own Employee of the Year on Wednesday, September 21st. It was hard to choose from so many outstanding individuals! Throughout the week, you can read about more of our #StaffingStars and their inspiring personal stories on our website and Facebook page. We believe this is not just a trend in response to the recent recession. Rather, it reflects a fundamental shift in the way people think about their lives and careers. Whether it's to acquire top level skills or stay on top of rapidly evolving markets, businesses are finding that their best option is contract workers. We see this type of employment as the way towards a very bright future. And we'd like to take this opportunity to thank our associates and clients for helping us all get there together. Learn more about #NationalStaffingEmployeeWeek here.